Teaching your kids about personal finance isn’t always the easiest thing to do, especially if you’ve made your own fair share of financial mistakes. Most schools don’t include budgeting + personal finance in their standard curriculum, so it’s up to us as parents of the next generation to educate them the best we can. ...but where do we start? Thanks to Alli Rosenblum + Shelly Hawkins we have a great new resource, Not Another Money Statistic: Lessons We Wish We Learned in High School. This book is a MUST READ for any teenager, parent of a teenager, or honestly any beginning budgeter. "I have 4 kids, two are teenagers. I can’t wait to have them read this book. It will help them to better understand finances at their level." Money is one of those difficult subjects to talk to our kids about...especially when it matters most...when they become teenagers! At an age when they’re already on the defensive about being “yelled at” or “lectured” about every little thing, the last thing they want is a lesson about money from their parents. However, Alli + Shelly wrote this book in a way that doesn’t feel like a lecture, it simply feels like loving older sisters giving heart-felt and down-to-earth advice. As us Xennials + Millennials are getting older and raising our own families we’ve begun notice the gaps in our own personal finance education. Some of us learned bits and pieces of advice from our parents or maybe we learned a few lessons in a college class, but not very many of us learned all of the basics at a young enough age to avoid some pretty expensive mistakes. As the consumer debt + student loan crisis continues to grow I think a huge goal of the current generation of parents, and the authors of this book, is to help the younger generations learn what we wish we would have learned. Most of the current personal finance books on the market are written for adults trying to fix the mistakes they've already made, but what I love about Not Another Money Statistic is that it's geared to help teenagers prevent those mistakes from ever happening. I personally wish that I would have learned more about things like taxes, how to build a good credit score, and so many other topics that were covered in this book. When I was growing up I thought that debt, a wallet full of maxed out credit cards, and living paycheck-to-paycheck was normal. There's no telling what kind of affect a book like this would have had on my life...I could have possibly even avoided getting our family into $490k worth of debt in less than 5 years of marriage. Even though my kids are still young (currently 7, 4, + 2), I'll for sure be stashing this book away to add to their High School Homeschool curriculum in the years to come! At under 100 pages Not Another Money Statistic is the perfect length book for our fast-paced society. The book does a great job of keeping the reader’s attention with 3 main parts, short to-the-point chapters, and a great organizational layout. The book starts with the importance of personal finance and explains in a simplistic voice why young people should care about things like saving, budgeting, and a credit score before they’re even out of high school. Part One continues to explain things like where to store your money (Cash, Checking Account, or Savings Account), the forms of payment you can use to spend your money, (Cash, Debit Card, or Credit Card), and all of the cold-hard facts that you need to know about credit cards. The authors go on to explain the different types of cards, all of the pros + cons, and how you can use credit cards responsibly...which is such an important thing to learn BEFORE you’re in a mountain of credit card debt! I like how the authors keep this part of the book very black + white. Credit cards can be a sensitive subject in the personal finance blogging world! Some bloggers are 100% against them, some don't trust themselves with them (that's where I fall), + others are able to use them responsibly to earn some great rewards. Not Another Money Statistic briefly touches on each perspective and really leaves it up to the reader (or the reader's parents) to decide which path is best for them. Part Two is full of tips for finding a job, keeping a job, and plenty of detailed examples. I loved all of the tips for keeping a job! I think in this instant-gratification world we live in a lot of young people aren't learning how to "stick things out"...and I think this section could be extremely helpful for a teenager struggling in that area. Keeping a job isn't easy! I remember my first job working at a gas station/burger grill, there were so many times that I wanted to quit but I kept that job for nearly 2 years and learned every single lesson that was listed in this book. All of those lessons have been crucial in my adult life and I'm so thankful for them! When your kids get their first job they're going to have so many questions...the thing is that it's been so long since you've had your first job, opened your first checking account, or paid taxes for the first time, you might not even remember to explain all of this to your teenagers. The authors do a great job of explaining how often you should get paid, the different forms of payment, and a few other great things to remember. 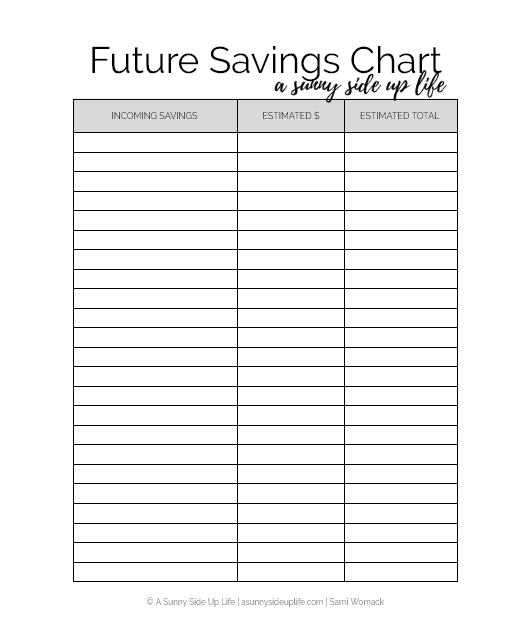 I absolutely LOVE the budgeting section on the book because it goes into some simple examples of a zero-based budget, expected expenses, things to save for, and different ways to create a budget template. Then, the section I think we all could have used as teenagers, the taxes section! This chapter is again very basic and to-the-point, it covers what taxes are, where your tax money goes, how it affects you as an employee, and lots of other handy tips for young people that are new to the world of taxes. Finally we get to Part Three: Life After High School. This section goes into the pros + cons of the different types of universities, community colleges, + trade schools. I love how the authors don't push an agenda of attending college (I personally don't believe that it's right for everyone), they give a very black + white explanation of the different options and really leave it up to the reader and their parents to decide which path is right for them. Then the authors go into explaining everything you need to know about student loans, financial aid, grants, + scholarships. This part of the book would have been so helpful to myself as teenager! Since I was the first person in our family to attend college I learned all of this the hard way. I was terrified of student loans, I didn't understand them and neither did my parents, so I opted to put any tuition or book purchases I couldn't cash flow on a credit card. This lack of knowledge was the beginning our bad habits with credit cards, and eventually led us into about $14k in credit card debt alone! If my parents + I would have had a resource like Not Another Money Statistic we both could have learned so much! The goal of Not Another Money Statistic is to "empower others to take control of their finances early and not become another statistic." 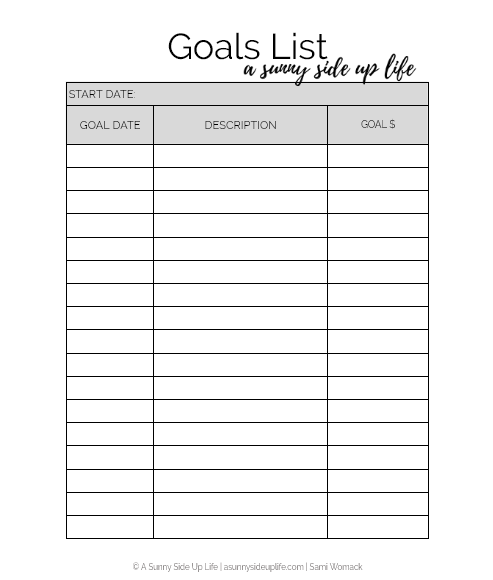 There are "take action" prompts throughout the book to help you get started, and there are checklists provided in the back of the book to help you stay on track. Not Another Money Statistic really fills a gap in the world of personal finance books! This book is such a valuable tool to help our younger generation successfully manage their finances and prevent the mistakes that so many of us older people have already made. I cannot wait to share this resource with my own girls when they're older. Alli Rosenblum + Shelly Hawkins met at the University of South Carolina in 2009 and instantly became BFF. Shelly is the adventurous one and Alli is more Type A, but they complement each other pretty well. They have traveled the world together, started blogs together, and now have written their first book together. Alli works for a Fortune 500 company and is pursuing her MBA in Finance. She runs the blog financiALLIfocused.com and loves everything personal finance related. She is obsessed with the University of South Caroline and studied abroad in China + Europe. Shelly is a school social worker and has her Masters in Social Work from Washington University in St. Louis. She runs the blog The Eclectic Voyager and has been to 5 continents + over 15 countries. She is a certified scuba diver + has swam with 5 types of sharks. They wrote this book together because they have different stories and opinions but the one thing they have in common is that they want YOU to stay out of debt and understand your finances. These books will be available soon! Sign up here to be notified with more details!